One of my favourite records!!! High praise indeed, since it's not even in my favourite genre of music. Chopped beats, nice squelchy synth lines, filthy electronic tones, beeps, with some of the most spot on rhythm programming I've heard! 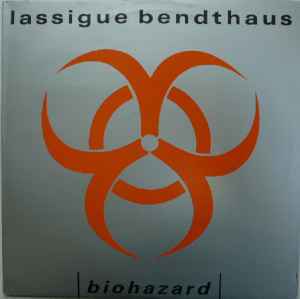 Biohazard and Information are full-on electro tracks, where Information has more frantic drum programming. Re-Cloned is structured over the Funky Drummer loop. Whilst Re-Kombination is a sonic assault with tortured synth tones, and abused rhythm sounds.